This retrospective, entitled “Azzedine Alaïa in the 21st Century”, displays the most fantastic fashion creations of designer’s last ten years. 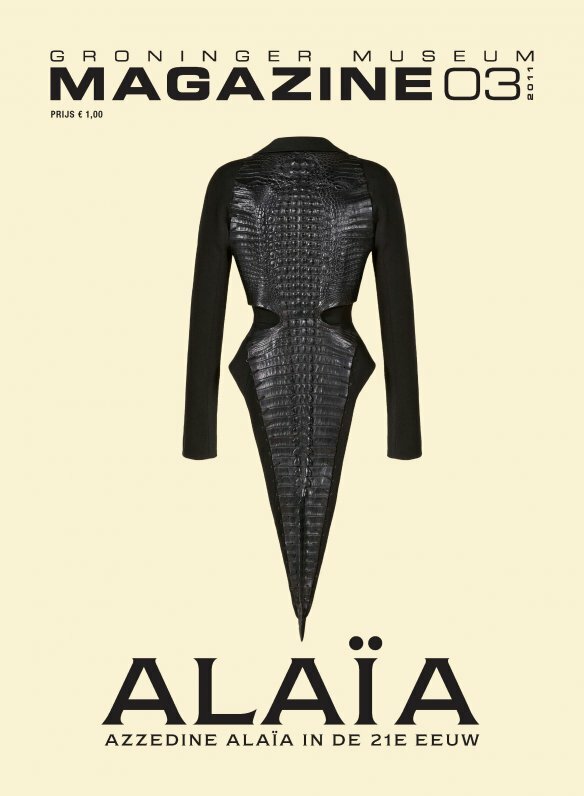 No need to talk about Alaïa’ s huge contribution to the fashion world… his form-fitting shapes, sculptural dresses, smart cuts, flawless surfaces. He’s a major couturier (probably the last one still in action), and he’s a rare bird in the fashion landscape, not only for his passion and perfectionism, but also for his personal attitude. His choice to stay away from the contemporary fashion game, his rejection of fast forward systems – it’s all about the wisdom and the honesty of a true createur. Alaïa’s work it’s an artist’s work, it’s all about searching, polishing the shape, experimenting with the fabrics, it’s about permanently exploring the intimate relationship between the dress and the woman’ s body. Anyway, what I wanted to say is that this exhibition presents not only a bunch of beautiful clothes, but Alaïa’s most important achievement – simplicity and timelessness. Whoever can make it to this exhibition should not miss it. oooh I wish I could visit this exhibition! !